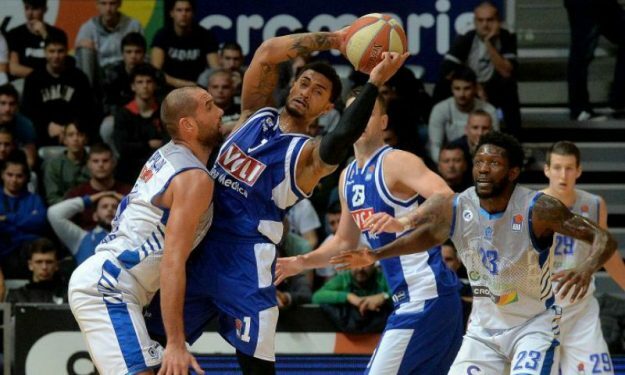 Edwin Jackson led Buducnost to a convincing home win over Mornar in ABA League. Buducnost went ahead in double-digits by halftime and kept going after the break for a convincing 102-71 home win over Mornar on Day 18 of ABA League. Edwin Jackson led the way with 18 points followed by Norris Cole’s 16 while Earl Cark banked 14 points and nine boards. For Mornar, Nikola Rebic and Antabia Waller scored 19 points each. Buducnost improved to 13-5 and is tied with Cedevita behind first-placed Crvena Zvezda (17-1). Partizan is fourth with a 12-6 record.